BBC Music returns to SXSW with a five night line-up of showcases in partnership with PPL, PRS Foundation, AIM and DIT. BBC’s residency starts on Tuesday, March 14 with BBC Radio 1 presents with Huw Stephens. BBC Radio 2 presents with Jo Whiley is on Wednesday March 15. BBC 6 Music presents with Steve Lamacq will take over the embassy on Thursday March 16. BBC Music Introducing presents showcases on Friday March 17, and they conclude the residency on Saturday, March 18 with BBC Music Presents. BBC Music will host a total of 30 British artists from across BBC’s networks and genres, including Radio 1, Radio 2, 6 Music and BBC Introducing. 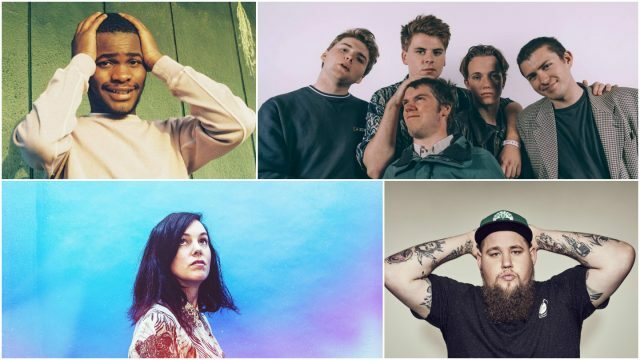 There will be performances from some of the most exciting emerging acts in the UK such as Rag’N’Bone Man, The Japanese House, Dave and Idles, as well as more established artists such as Slaves, Kate Nash and Marika Hackman. Each evening the showcase will be presented by BBC DJs Huw Stephens, Jo Whiley and Steve Lamacq. They will host artists that represent the breadth of genres the BBC nurtures and supports across its popular music services. BBC Radio listeners will be able to hear each evening’s showcase the following day on the DJs regular BBC radio shows with repeats the following week across all three networks. Time is almost up! Register to the event for primary access to premier nighttime music showcases, and industry-focused sessions. This year, the Music badge also gives you access to most Film Festival screenings and Interactive Conference sessions.